For over 80 years, Lancome has continuously reinvented the beauty of the present by imagining the beauty of the future. Beyond fantasies and ads, beauty adapted to women's real needs. Simple yet contrasting needs requiring cutting-edge know-how: that if the Lancome laboratories. Driven by Asian beauty and its ultra-inventive high standards, and aiming to encourage interaction between different types of beauty from all over the world, Lancome created its own version of the cushion in 2015. 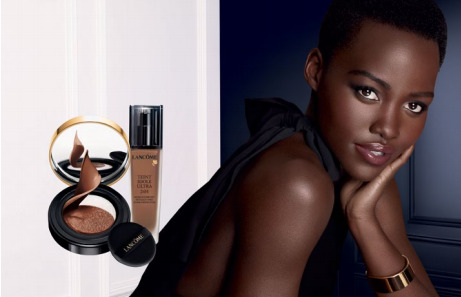 It was the first Western beauty brand to offer this new make-up step at the time, but in its own way: by enhancing it with a formula inspired by its multi-award-winning foundation, Teint Miracle. The result was Miracle Cushion, which met with planetary success, but also generated new desired, new wishes and a new paradox to resolve: the freshness and portability of a cushion in a high-coverage version. 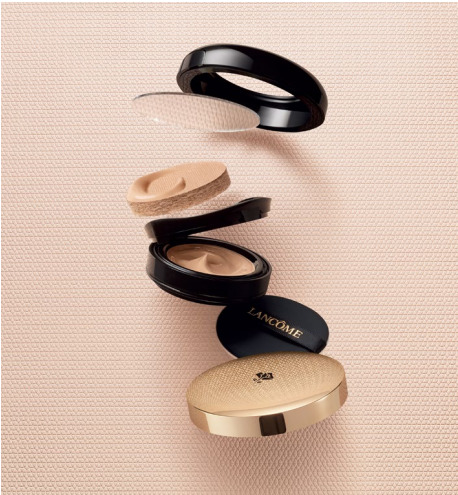 A technological challenge that Lancome now achieves with Teint Idole Ultra Cushion, the combination of a new generation cushion and the flawless and ultrasophisticated coverage of one of the most legendary foundation franchises by Lancome. One innovation can hide another: that of Cushion Blush Subtil, a cushion infused with liquid pigments that deliver a real sensation of freshness and remarkable colour result. 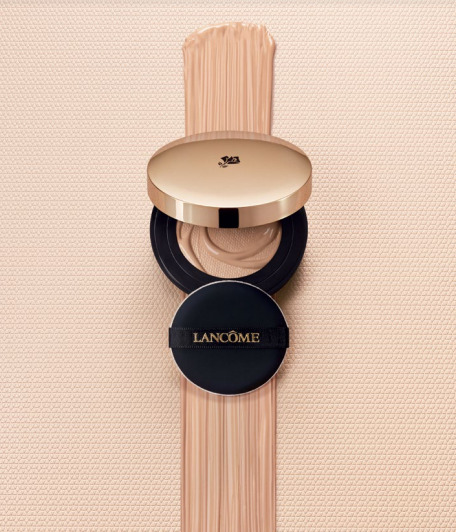 In this way, Lancome continues to reinvent the pleasure and ease of worry-free and irreproachable make-up for women, as proven by Teint Idole Ultra Cushion and Cushion Blush Subtil. Both lightweight and high-coverage, the new Teint Idole Ultra Cushion formula is rich in micro-pigments to blur the slightest imperfection, while remaining wonderfully discreet for a satiny glowing finish that enhances the complexion. Coverage meets lightweight application. Its advantage? The JEL-LIQUID technology with amazing thixotropic properties. In other words, a gelling agent whose viscosity decreases when disturbed. Before use, the formula is dense and thick, which gives, which gives it better hold in the sponge-cushion. 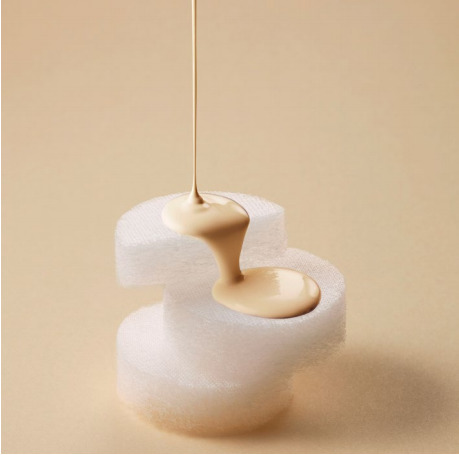 One press on the mesh covering the sponge reduces the viscosity of the JEL-LIQUID technology and fluidifies the formula, making it easy to apply and smooth onto the skin. For optimal coverage, but improved application and a very even skin result. On contact with the epidermis, part of the formula's ingredients evaporate, causing the temperature of the skin surface to immediately drop by 1.7°C. Application becomes a moment of wonder. More than a sensation of freshness, a moment of well-being. This same phenomenon also helps set makeup on the skin to encourage a high-coverage result that lasts all day long for high-precision sophistication. Because, more than ever, beauty goes hand in hand with healthy skin, this moisturizing, melt-away formula nourishes the skin while SPF50 sunscreen acts on the surface to protect against UV rays and prevent the development of free radicals. Finally, Teint Idole Ultra Cushion comes in a variation of nine shades to allow all women to effortlessly find their natural skin tone. For 86% of women who tested it, Teint Idole Ultra Cushion represents a real innovation. For 95% the Filter Pad delivers the perfect dose of formula. For 75% Teint Idole Ultra Cushion stays put all day long. For 84% it offers ideal coverage. For 81% it reduces imperfections. A subtle nod to the Teint Idole Ultra line, the minimalist black and gold case of Teint Idole Ultra Cushion makes this cushion even more desirable. A very beautiful object to systematically slip into your handbag, as its ultra-practical format is ideal for all busy women who need a discreet touch-up between meetings, in the taxi or right before a last-minute appointment. The refillable Teint Idole Ultra Cushion case can hold a new cushion in just one click. Perfect to switch shades or adapt them to changing skin tones or seasons. It's also a great way to unite beauty and eco-sustainability. Enhance a fresh and glowing complexion as if by magic... 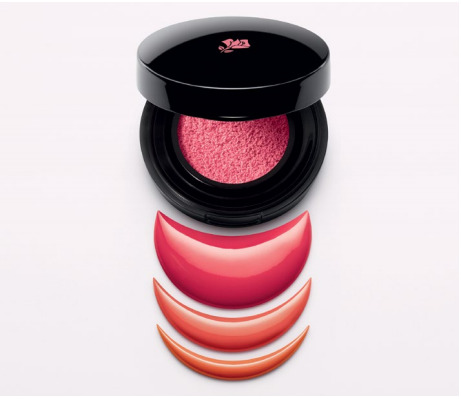 This is the feat of Cushion Blush Subtil, a healthy glow booster with an absolutely playful design and use. Based on the Air Cushion technology, its smooth, light and melt-away texture gives dazzling radiance to the face... while its pop pigments set off the cheekbones with a subtle touch of emotion. Available in six rosy or orange variations, this fun blush can be used to our hearth's desire by applying a single shade or combining several for a more "arty" look. A tip from Lisa Eldridge, Lancome make-up creation director: match with lip colour for an ultra-sophisticated result. Free, active and on the move, Penelope Cruz and Lupita Nyong'o perfectly represent this new product that liberates women, in a campaign shot by Mert Alas and Marcus Piggott.